Call 302-514-1995 to schedule your first appointment. Leave the struggle behind by investing in hearing aids in Dover, DE. If you’re tired of asking people to repeat themselves or you find yourself avoiding social situations, then Miracle-Ear® may be able to assist you. We use a combination of modern technology and proven designs to deliver high-tech hearing aids that are comfortable and effective. It’s estimated that roughly 36 million Americans are living with some degree of hearing loss*, and it can have a drastic impact on your quality of life. At our hearing aid center, you can have your hearing assessed to determine if a hearing aid would make social interactions a little easier for you. The consequences of untreated hearing loss include depression, lower earnings, and social isolation, so we encourage you to make an appointment if you are struggling to hear people, have difficulty following conversations in large groups, or feel like the people around you are mumbling. We have an impressive range of options available, and you’ll be impressed with our GENIUS™ Technology, which provides a more natural listening experience. We also offer Bluetooth® options so that you can make the most of your digital devices. Before you decide to live with the changes in your hearing ability, see what our hearing care specialists can do for you. We stand behind our hearing aids with a warranty**, and we’re proud to offer ongoing care. Schedule your hearing free test† today by calling our Miracle-Ear center in Dover. 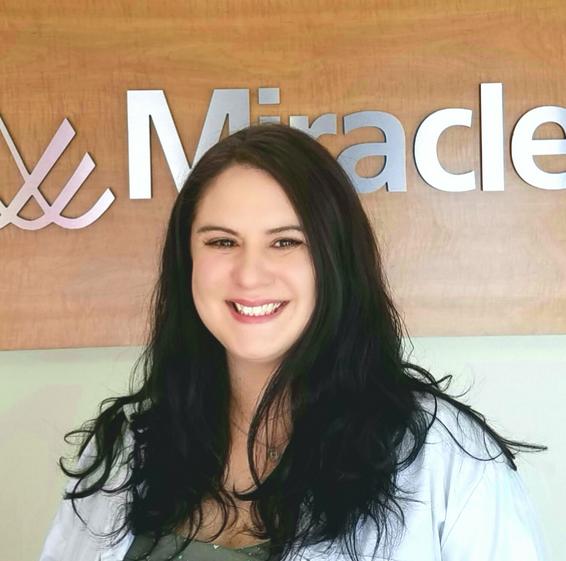 Amanda has two years of experience as a hearing aid specialist and has been with Miracle-Ear for two years. Amanda is a Miracle- Ear Certified Hearing Care Professional (2015, 2016, 2017). Amanda's favorite part of working at Miracle-Ear is working with the patients and helping them reach their hearing goals. I have had my Miracle Ear hearing aids for about 3 months and find they’re almost invisible. They’re so comfortable, I often forget I’m wearing them. And the best part – I hear so much better. The people who have worked with me are professionals. They have been helpful and friendly and have answered all my questions and some I didn’t think of. The entire group went way beyond their required business. From git go to end, the service was excellent. The one corporate representative, Jackie, went way, way beyond. I would strongly recommend to everyone.